Quick guide to upgrading Netgate FW-7541 and FW-7535 firewalls to PFSense 2.0.+ without any special process. I just recently ordered a new Netgate FW-7541 for our COLO that I will be using in a fail over setup. 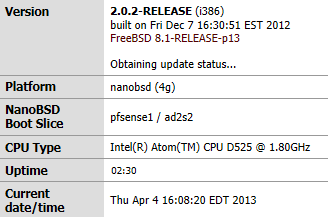 The Netgate nanoBSD build is not bad but has a few limits on packages that we wanted to overcome and also Netgate does not keep up with the PFSense updates as quickly so they are still at PFSense 2.0.1. We want our box to be running PFSense 2.0.2 so how do you do this when the it says it has the “Latest” updates from NetGate? 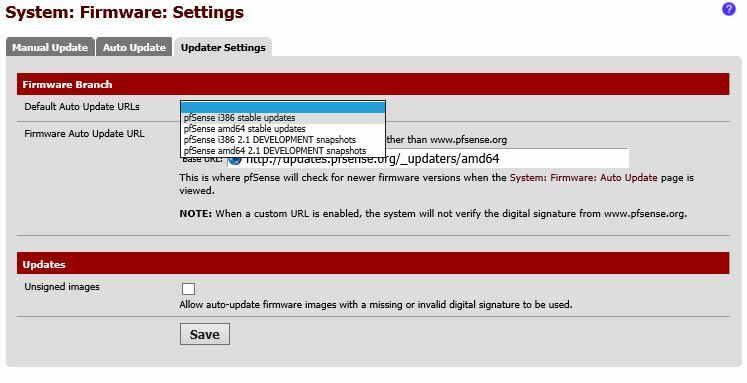 The trick is to change the update package location selecting the default i386 path for updates under the Firmware menu in PFSense. To do this go to the [System] menu and scroll down to [Firmware]. Now select the [Updater Settings] tab and then select from the dropdown list [Default Auto Update URLs] the (pfSense i386 Stable Updates) from the list. This will then automatically change the base URL to the new firmware location. Now save it and then retest to see if updates are available. It should now report a new version is available for install. Select the update firmware button and wait as it updates your Netgate to a full version of PFSense. Once your system reboots you should be able to login and see your new version running. *Note, the system may flip web admin themes on you after upgrades. To get back to the old tried and true pfSence default theme go to [System] -> [General Setup] and select pfSense_ng from the themes list and save. This will return you to the standard theme. If you manually upgrade your Netgate FW-7541 is the download location for 2.0.2 here? And that worked to upgrade from 2.0.1 to 2.0.2 and later to 2.0.3. But double-check with Netgate support.